Marine 31 Gel Coat Carnauba Wax + Sealant 64 oz. 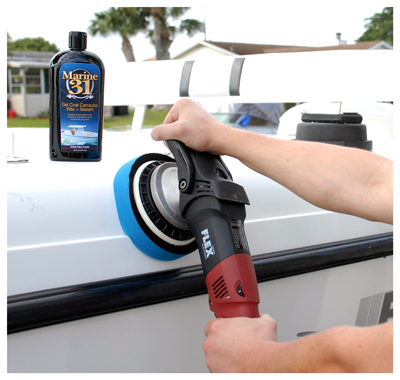 Marine 31 Gel Coat Carnauba Wax + Sealant combines the proven benefits of real carnauba wax and advanced crystalline polymers into one easy-to-use formula. The real carnauba wax imparts a high-gloss, slick finish while the crystalline polymers provide rugged protection against salt and UV rays. It’s only an added bonus that Marine 31 Gel Coat Carnauba Wax + Sealant is exceptionally easy to apply and remove, by hand or dual-action polisher. Don’t stop at the gel coat! 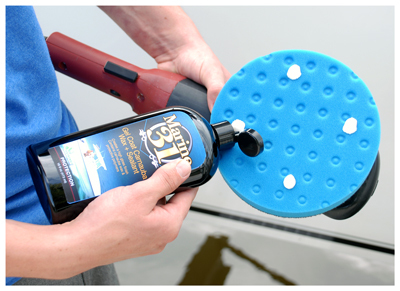 Marine 31 Gel Coat Carnauba Wax + Sealant can also be applied to aluminum and stainless steel surfaces. Regular application will make treated surfaces easier to clean and maintain.